New elements include, for example, its different axle load options, which make the crane significantly more economical. The construction machinery manufacturer has also taken the environment into account: The MK 88-4.1 can operate emission-free using even less power than its predecessor. Both the 8,000-kilogram maximum load capacity and the maximum radius of 45 meters remain the same. The maximum load capacity of 2,200 kilograms at the jib head also remains unchanged compared to the MK 88 Plus. In addition to the proven Load Plus function, which provides the mobile construction crane with up to ten percent more lifting capacity, the crane has also been equipped with a more powerful trolley travel gear. 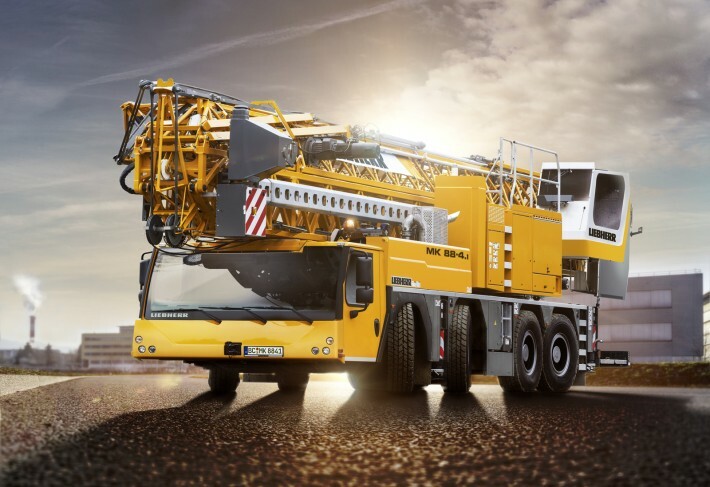 This enables the Liebherr mobile construction crane MK 88-4.1 to work with heavier loads, even at a 15° inclination and at a 45° luffed position. As a result, the maximum load capacity of the MK 88-4.1 is increased by up to 50 percent compared to its predecessor in a 45° luffed position. 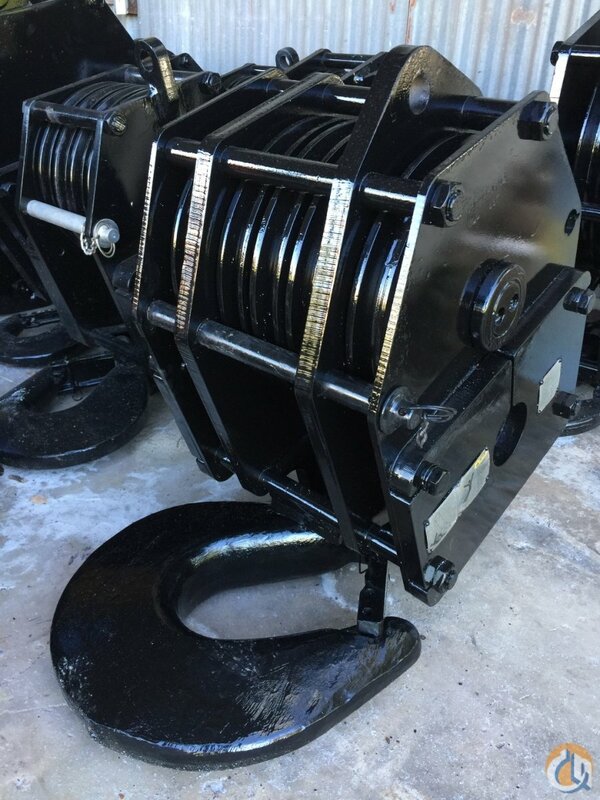 In practical terms, this means that it can lift 2,800 kilograms in a 45° luffed position instead of the previous 1,850 kilograms up to 21 meters outreach. A new ballast concept makes different axle load options and, in turn, more areas of application possible. Therefore, the MK 88-4.1 has 3 different axle load variations. With additional ballast, the axle load amounts to less than 13 tonnes per axle. With only basic ballast, the Liebherr mobile construction crane has an axle load of under 12 tonnes. Without basic ballast, the axle load can be reduced to less than ten tonnes. This means that, for instance, the crane can even be driven on bridges and roads with axle load restrictions. By means of an adapted load curve, powerful operation is still possible with the ten-tonne version. 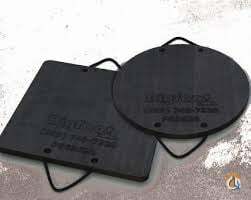 In addition, the MK 88-4.1, like the MK 140, can be used with half-sided support, so that possible road obstructions can be avoided. The standard support width is 7.0 m and can be reduced to 5.75 m if necessary. Thanks to their electric drives, Liebherr mobile construction cranes not only have a low-noise emission when in operation but are eco-friendly in the process. This is a major advantage for night-time operation. The new mobile construction crane MK 88-4.1 is now also equipped with a 32-amp connection in addition to the standard 63-amp connection. Through an intelligent energy management system, the maximum power available is used for crane operation. This means that the MK 88-4.1 can also be operated using less power, when on-site conditions don’t allow otherwise. In addition to the half-sided support feature, further elements of the larger MK 140 mobile construction crane have been adopted in order to create a uniform operating concept across the entire MK series. The MK 88-4.1 has, for example, been equipped with the elevating operator’s cab of the MK140. This can be infinitely adjusted in height, has larger windows and is fitted with the latest equipment. 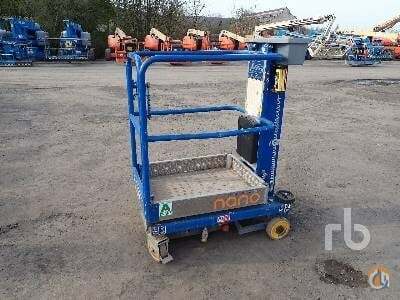 Optional trolley and slewing platform cameras ensure a better all-round view and therefore a higher level of safety. The combined heating and air conditioning system allows the temperature in the cabin to be controlled perfectly. The driver’s cabin has also undergone a face-lift, so that it is a more comfortable environment for the crane operator. As well as more ergonomic operating elements, small details such as an air-conditioned seat and a handy mobile phone holder have also been included.